Felice is the Chief Financial Officer of Agriculture Capital. With over 15 years of financial and business leadership, Felice brings to the Agriculture Capital team an established record of success in growing enterprise value. Prior to joining Agriculture Capital, Felice spent 12 years as a co-founder and chief financial officer of Capital Pacific Bancorp, a regional bank that was distinguished for its innovative small business services, strong financial governance and extensive community building. Felice is an experienced risk manager, having successfully navigated the rapidly changing economic and regulatory landscape over the last two decades, and currently serves as Agriculture Capital’s Chief Compliance Officer. Over the course of her career, Felice has been instrumental in various capital raising activities, including an IPO and several private placements. She has also been on both the buy and sell side of several business combinations within the banking industry, including the sale of Capital Pacific Bancorp in 2015. Felice began her career with Moss Adams, LLP, a financial advisory services firm, and she is a Certified Public Accountant. Felice’s accolades include the Portland Business Journal’s 2014 CFO of the Year Awards as an Honoree in Public Company Category. Community outreach has always been important to Felice and she currently serves on the Board of Directors of The Dougy Center, a nonprofit that provides grief support to children nationally. She is also a past Director of The Portland Fruit Tree Project, an organization that harvests fruit from urban neighborhood trees to improve community access to heathy food. 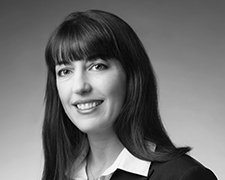 Felice has an undergraduate business degree from Oregon State University and has served on the finance committee for the Oregon State University Foundation. Felice’s free time is spent cheering on her young children. She and her family are outdoor enthusiasts and are busy exploring the diverse beauty of the Pacific Northwest.